Protection from food spills and incontinence leaks. You may wish to fit absorbent coverings to protect existing furniture, or replace whole items with waterproof alternatives. Choose from quick and easy disposable solutions, or more cost-effective, environmentally-friendly washable options. 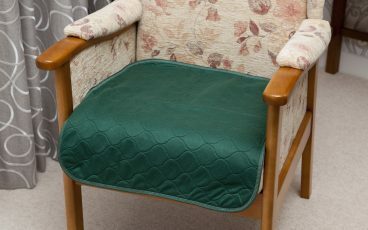 Quilted and washable chair pad with a one litre absorbency. 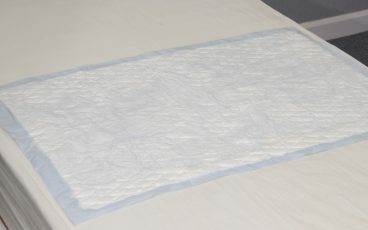 Quilted and washable bed pad with a plastic draw sheet. Single or double. 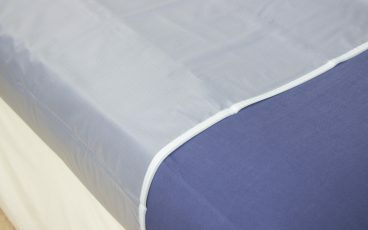 Waterproof and washable protector that fits securely around the entire mattress. Single or double. 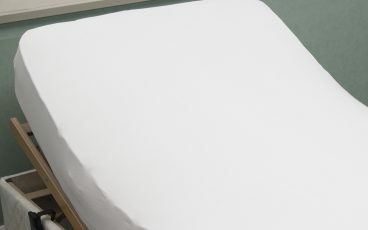 Waterproof and washable heavy duty draw sheet that lies across the bed. 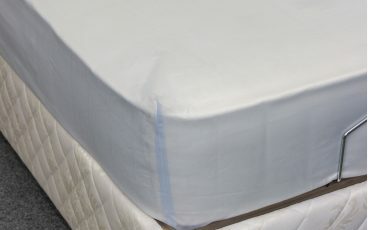 Waterproof and washable mattress sheet with tie-on tapes. 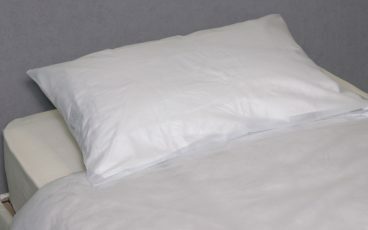 Water-resistant and wipe clean duvet and/or pillow. Single or double. Waterproof and washable. 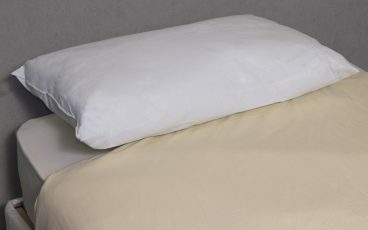 Purchase duvet cover and pillowcase together or separately. 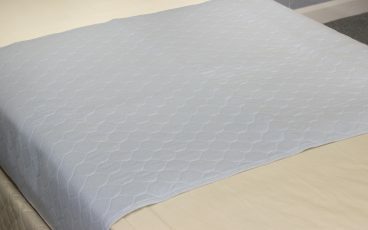 Washable knitted sheet with multi-directional stretch to prevent shearing and to fit most care mattresses. 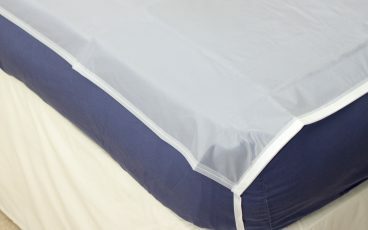 Soft non-woven sheet and waterproof base for high level of protection as well as comfort. 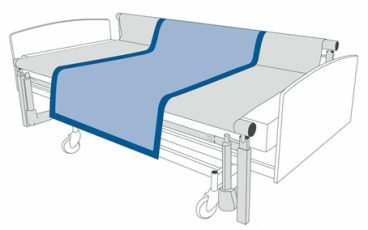 Large surface area and high absorbency for adequate coverage with a single sheet, reducing the risk of pressure sores.